Congratulations to Randy Morrison of Kahler Slater! 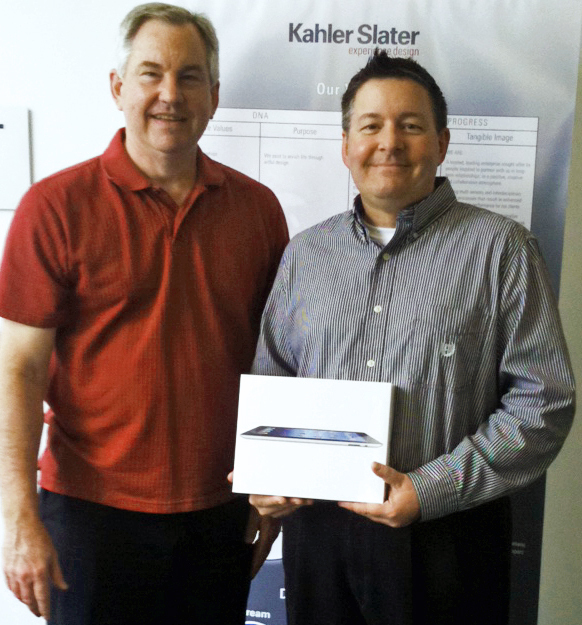 Bob Kartes presented Randy with a brand new iPad3. Randy submitted an impressive design on how Solera could achieve maximum daylighting goals in a project. Congratulations! Watch for our next winner to be announced in early summer. « We Have a Winner! AIA Milwaukee iPad Giveaway! Congrats Randy! What did the daylighting goals and design include?